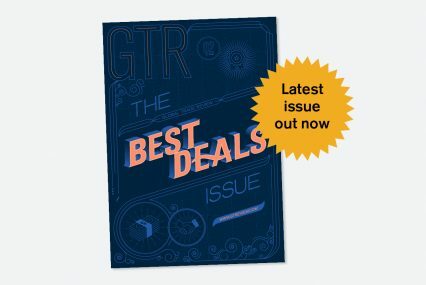 GTR’s Best Deals issue is out now! GTR’s Best Deals issue is out now! GTR’s Q4 magazine out now! The weeks leading up to this magazine’s press date have been tumultuous on the trade front, with fears of a full-blown US-China trade war in a seemingly constant state of flux. As we go to print, IMF chief Christine Lagarde has just waded into the trade spat, calling for governments “to steer clear of protectionism in all its forms”, adding that the world trade system is “now in danger of being torn apart”. Lagarde’s warning came weeks after a mildly astounding tweet from US President Donald Trump in which he declared that the trade war with China “had been lost many years ago”. He delivered the news in the hours following China’s introduction of retaliatory measures which included plans for new tariffs on US products. Rising protectionism is already having a very tangible impact on businesses and financiers around the world. A recent HSBC survey found that, amid protectionist concerns, companies are focusing on trading with partners within their own geographic region rather than exploring opportunities further afield. While it’s hard to find reasons for optimism in this new topsy-turvy world of increased uncertainty, it’s not all doom and gloom. Global commerce is proving its resilience. We learnt recently that January posted the fastest global trade growth (0.9%) since the financial crisis ended in 2011. Container and air freight volumes rose in January and February too, while industrial production also increased. On the whole, 2017 turned out to be a remarkably good year for world trade with 4.5% year-on-year growth, according to the CPB World Trade Monitor. Closer to home, GTR was pleased to receive a healthy number of submissions in our annual search for the Best Deals in trade, commodity, export and supply chain finance, which closed at the start of the year. As is plain to see from the cover image, this issue profiles our chosen winners – the cream of the crop of deals signed in 2017. From the hundreds of submissions that were sent through, we selected just 16 of the very best: they include the first ever project financing for a floating LNG facility; a landmark deal for clean fuels in Kuwait; the first non-US Exim financing for a Boeing aircraft in over a decade; and a ground-breaking securitisation for Trafigura. Congratulations to the winners, all of whom have played a substantial role in promoting the benefits of world trade. What’s to become of Libor?